Several web-resources including Gizmodo and TechCrunch confirmed that HP stops working on its "HP Slate" tablet device. The decision is caused by this week's deal that will end soon with acquiring Palm. Now Hewlett-Packard is rumored to integrate Palm's WebOS instead Microsoft WIndows in their tablet (which can take a year or more) and reconsider using Intel-based hardware in it because of its excessive power requirements. So now it looks like HP changes it course and is going to convert webOS to a tablet OS and compete with Google's Android and Chrome on the market of operational systems. 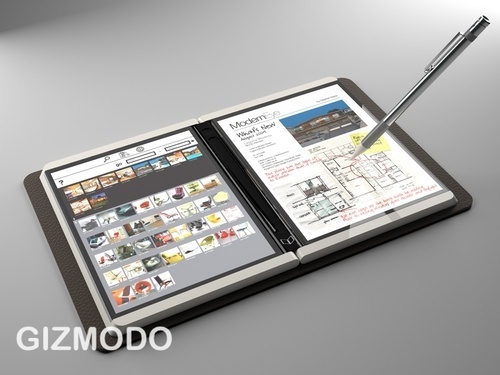 Meanwhile, Microsoft has also cancelled working on its own booklet-style tablet device called "Courier". Gizmodo sources say the project will be no longer supported. Anyway, the device had never been publicly announced, though it could be very interesting with its two touch-sensitive screens in a foldable format and handwriting recognition input. Recently Oprah Winfrey declared herself a fan of iPad in the front of millions of TV viewers. She called the device "amazing" and said that its hardware will "change the way kids learn." TV host admires its backlit touchscreen and thinks it has great opportunities for reading, playing games and sharing photos. Some time ago Oprah has been promoting Amazon Kindle on TV, and once the sales of this device were boosted so strong the company had problems with keeping up with demand. When she has been speaking about iPad she also mentioned Kindle in the past tense, like she "HAD a Kindle". But later her spokesperson said she still uses both devices. 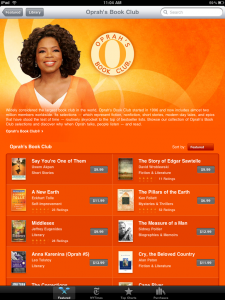 Oprah's Book Club may be viewed in iBookstore for iPad, and its books may be purchased for a standard fee. Today mobile ad firm AdMob has released another Mobile Metrics report that consists of information about the software and hardware that had been used by Apple's handsets owners in March. 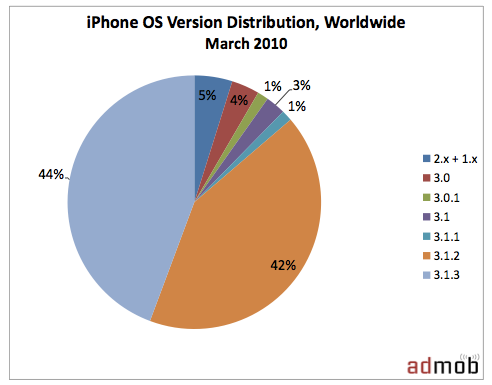 The study reveals that only 2% of all Apple devices with iPhone OS are first-gen iPhones. But it is important to notice that since the first sale of iPhone OS-based device Apple sold over 85 million of its worldwide. 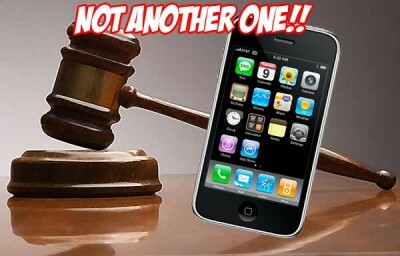 If we'll take the period between June 2007 and July 2008 (time when iPhone 3G was shipped), then it turns out that company sold 6.1 million of iPhone 2G, which is approximately 7% of the total sum of handsets that were sold. "If 7% of those iPhone 1Gs are driving 2% of AdMob's traffic that suggests that nearly one in three is still ticking - and visiting the Web." Obviously, the popularity of the first-generation iPhones will be further reducing without iPhone OS 4.0 support. 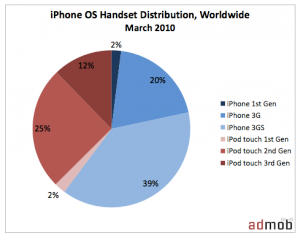 AdMob also found that the most popular iPhone in March 2010 was iPhone 3GS, which generated 39% of all traffic. This is much higher result than 9% in September 2009. Other information can be seen above on the graphs. 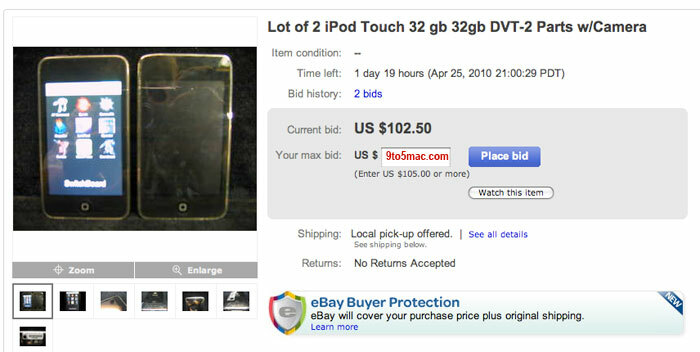 Early this morning 9to5mac.com has posted a link to an eBay page where some seller was selling 2 semi-working iPod Touches that have cameras (!) and run a development version of the iPod OS. The devices are marked with "Apple Development Team", "DVT-1" and "DVT-2". DVT means "design verification test". As you see from the photos below the UI looks pretty strange. Some people say it is a software that hardware team gets to set. Currently the link is being broken so we can't check the information. Maybe Gizmodo already bought it? Also, the devices look very used, so there is no reason why it can't be another Chinese clone. Yesterday U.S. Federal Communications Commision revealed internal hardware photos of iPad, though they had originally obtained it as early as on March 12. It is a series of 17 pictures that gives a view of the display, the battery, the Bluetooth and Wi-Fi chips and more. Like in other Apple portable devices there is no empty place to waste. "It looks like there is a LOT of glue holding these chips down to the board. More than we've seen before -- Apple is really serious about durability on this thing." 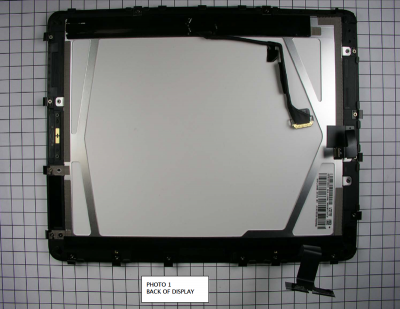 The device ID in FCC is "BCG-E2381A". The related documents and photos can be found here. Some of the pictures are added below. 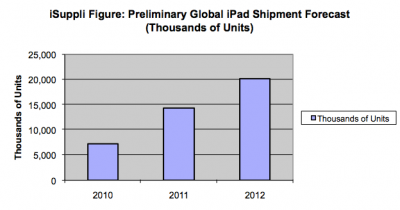 New forecast published by iSuppli on Friday revealed that approximately 14.4 million iPads will be sold in 2011 and 20.1 million - in 2012. This year won't make a sales record because most of the consumers will buy it for its unique touch-screen. By 2011-2012 the device will become more popular with the increasing number of App Store applications, declining prices and improved functionality, so people will more clearly understand its possible purposes. But iSuppli claims the research to be "conservative", because it doesn't take into account unforeseen features that Apple can quickly add to iPad to boost sales (for example, integrating Adobe Flash support). 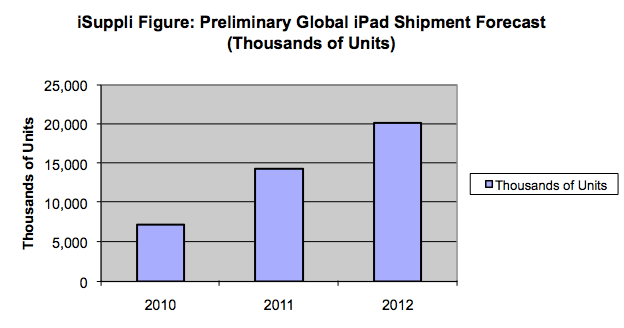 However the numbers rely on a patented multi-touch technology that will mainly define the popularity of a new device. 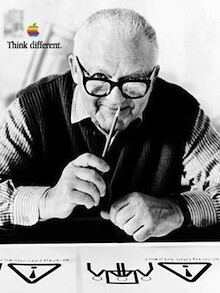 Paul Rand is not a well-known person, but it was he who created logos for such famous companies like ABC Television, UPS, IBM and NeXT. He didn't actually design any of the logos for Apple, but he was chosen to be portrayed with an Apple logo for a print ad. In 1993 Steve Jobs gave an interview to Alan Pottasch and Doug Evans. That was a time when he was a chief executive officer of NeXT and concentrated on porting their NeXTSTEP OS for x86 processors. That year Apple changed the guard from J. Sculley to M. Spindler. "When you scratch the surface of any of his work, you find out the depth of the intellectual problem solving that's taken place." His speech reflects the ideal of current Apple's products. It is not only the hardware design that attracts people, it is also a software and the forseen interaction beneath it. A shop in Istanbul, Turkey has posted a video demonstration of how they perform a 'hardware unlock' on the iPhone 3G with firmware 3.1.3 and new baseband. The video shows ElektroPower performing a hardware teardown to reflash the Baseband to 04.26. Nice! Apple just announced that iTunes users now have the ability to gift apps to one another. 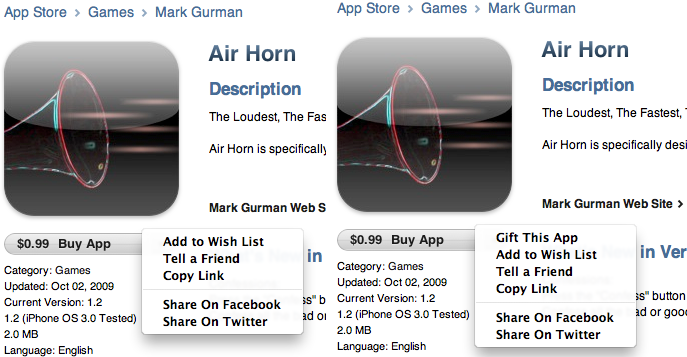 The process is quite simple, like gifting a song - all you have to do is click the 'gift app' button. You must use your credit card on the account and cannot use gift cards or any other types of promotional payment to gift apps. If you want to use this feature you have to sign into your iTunes account and accept the new terms policy. 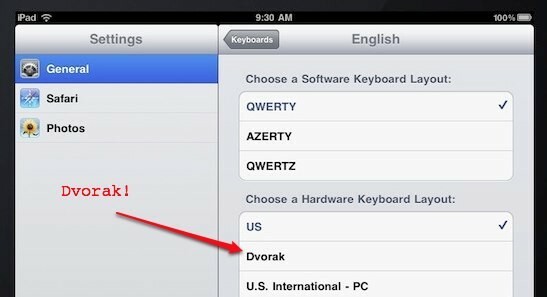 For some time people interested in the iPad's tech specs were wondering where the Dvorak keyboard support is. With iPhone SDK 3.2 Beta 5 released on Tuesday developers finally found it. But on the evidence above it is clear that there is a hardware support, but not software (so you can connect external keyboard, but there is still no way to change iPad layout to Dvorak's). It is interesting that though the hardware support is developed, there are no Bluetooth Dvorak keyboards produced at the moment to connect to the iPad (on the other hand you can always take usual keyboard and apply stickers to its keys). To know more about Dvorak keyboard layour read here. 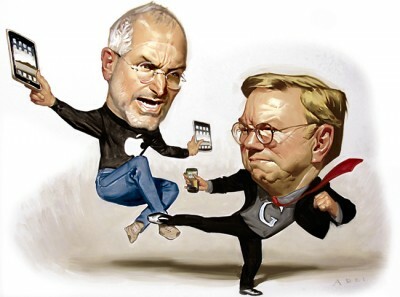 For the last few months we have been witnessing the competition between Google and Apple that becomes more and more significant. We tried to analyze some facts and made a conclusion that the confrontation is more personal than corporate. The Wall Street Journal has information that nearly 10,000 iPhone users regularly access the Microsoft employee mail system. Such a number represents almost 10% of the company's global staff. It is really interesting as Microsoft executives are not happy to see their employees using products of rival companies. 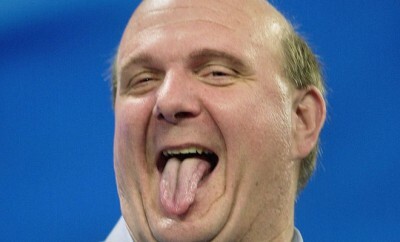 Its CEO Steve Ballmer already had an accident last September when he caught a man from the company's personnel who tried to snap a photo of an entrance with his iPhone. At that moment he was so angry he put the phone on the ground and pretended to stomp on it. After that he walked away. "...the company in early 2009 modified its corporate cellphone policy to only reimburse service fees for employees using phones that run on Windows Phone software." It is obvious the company tries to reassure its employees to use its software and hardware, but they continue to hide and even customize their iPhones to make them look more like generic handsets. In a week after the story about the lawsuit Oppenheimer analyst Yal Reiner wrote a research note, where it is said that Apple started warning Motorola and HTC in as early as January 2009. The Cupertino's company was not so happy to see that rivals' new products look like iPhone (or at least use the same concepts). "Apple will not stand for having our IP ripped off, and we'll use whatever weapons that we have at our disposal". The words were presumably about Samsung, LG and Nokia (Palm is not mentioned as its sales numbers are not so considerable). 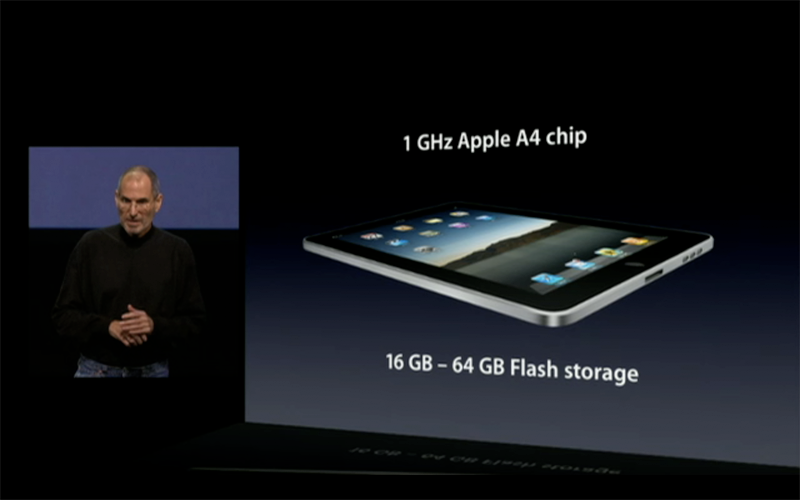 As you remember, Steve Jobs clearly said at the iPad's presentation that the device will have a 1 GHz A4 Chip. But after that event there was no information given about this secret two-letter name "A4". And this isn't usual, as almost every company reports the specification of every announced device before it'll come to market. Later it was rumored that the chip is based on Cortex A9 with dual cores. But finally Arstechnica author Jon Stokes revealed that A4 is a 1 GHz custom system-on-chip with a single Cortex A8 Core and a PowerVR SGX GPU. Though the information is not announced publicly, the author is sure it is true.